The Ockel Sirius A is an Intel-powered miniature PC with a 6-inch touch screen. 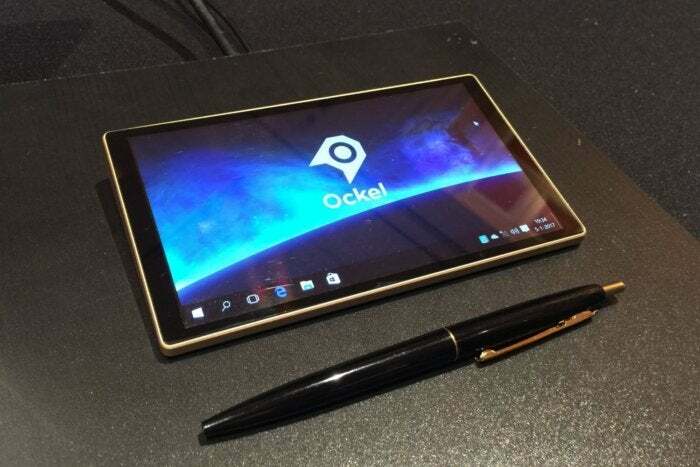 A little-known company called Ockel wants to put a touchscreen Windows 10 PC in your pocket. 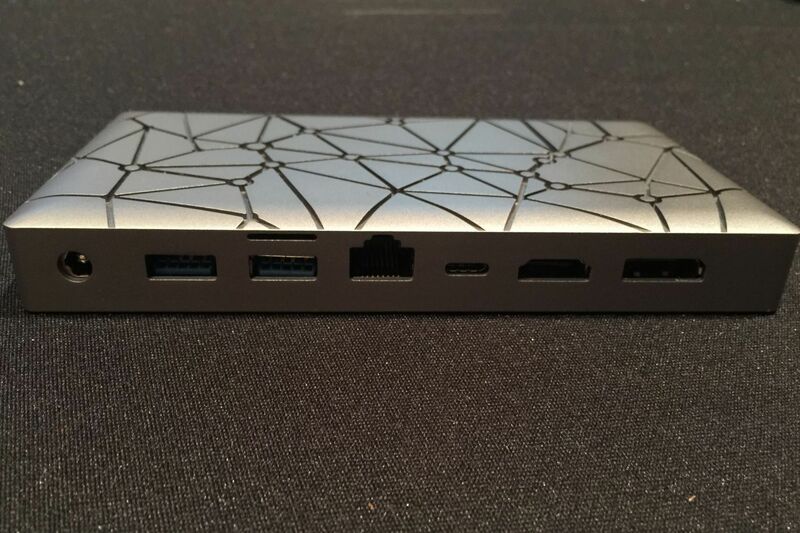 At CES 2017, Ockel was showing off an extremely rough prototype of its Sirius A mini-PC, which was funded on Indiegogo late last year with more than $443,000 raised. The device is small enough to fit in a pocket or purse, and will pack a 6-inch 1080p multitouch display. Other specs for the $699 version include a quad-core Intel Atom x7-Z8750 processor, 4GB of RAM, 64GB of storage, a 5-megapixel front camera, two USB 3.0 ports, one USB-C port, full-sized HDMI and DisplayPort outputs, ethernet, 802.11ac Wi-Fi, and a headphone jack. For an extra $100, the RAM and storage double to 8GB and 128 GB, respectively. Why would anyone want a touchscreen mini-PC? Aside from having the full power of Windows in your pocket, you could theoretically plug it into any monitor or TV, and use the second screen as a keyboard and trackpad, saving the hassle of carrying even more hardware. There’s just one problem: The unit on display at CES was not exactly working. The touchscreen was non-responsive, and some of the input/output ports didn’t work. Still, it was displaying the Windows 10 home screen, so at least it wasn’t a total brick. Ockel also has one Indiegogo success under its belt already with the Sirius B, a mini-PC without the built-in screen. Assuming Ockel can whip the Sirius A into working order, the plan is to start shipping it to Indiegogo backers in May.